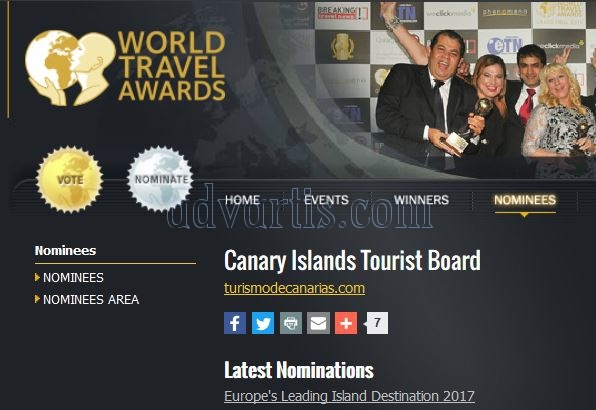 The Canary Islands has been nominated, for the fifth consecutive year, to the World Travel Awards 2017 in the category of Europe’s Leading Island Destination, competing along with the rest of European tourist islands. This year these awards are in their 24th edition and are granted by a vote of the internauts who register on the web worldtravelawards [dot] com/vote, so they are open to the participation of anyone interested, according to Promotur in a press release. 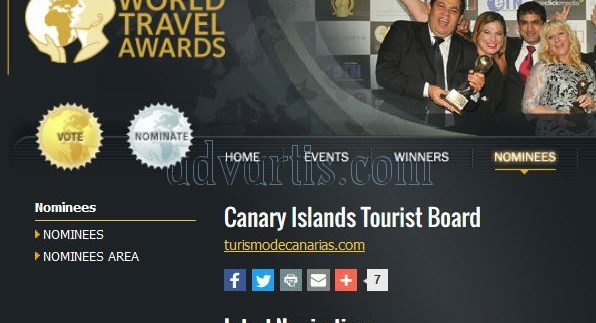 Also in other categories of this competition compete other Canary candidates like Binter, who opts for the award of best regional area of ​​Europe, while in other categories compete several hotel accommodations of the islands, such as Abama Resort, Iberostar Anthelia, Barceló Corralejo Bay, Hotel Riu Palace Oasis, Gran Meliá Palacio de Isora, Iberostar Playa Gaviotas Park, Lopesan Baobab Resort, Sheraton Fuerteventura Beach, Golf & Spa Resort, Lopesan Costa Meloneras, Lopesan Villa del Conde Resort & Thalasso, Gran Castillo Tagoro and Barceló Teguise Beach. Finally, from Promotur indicates the people interested in voting can do it until August 6 on the official WTA website after a simple registration on the page. In the case of Canary Islands, the section in which to vote is of Europe’s Leading Island Destination.